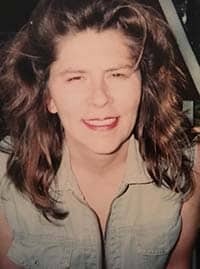 Christine Eva Ehrenreich - Edmonton's Burial & Cremation Professionals | Trinity Funeral Home Ltd.
Christine Eva Ehrenreich passed away January 15, 2018 at the age of 57. Christine will be dearly missed by her husband Stephen Flinn, her daughter Ricarda, and step daughters, Stephanie and Natalie. Christine will be forever remembered by her niece and nephews Savannah, Kristjan, Joey and Tyson, by her siblings Heidi, Peter and Ralph, and by her grandchildren Austin, Breanne, Kalex, Clover, and Charlotte. Christine was a vibrant member of the community always willing to help out those in need, her bright smile and infectious laugh will be sorely missed. Sorry to hear about your loss Steve. Sorry to hear Steve. It is never easy to lose someone you love. My thoughts love and condolences. Will be in touch very soon Steve…love and thinking of you. Ricki, I’m so sorry to hear of the loss of your mom. Thoughts and prayers to you and your family. The loss of a cherished loved one is the most devastating experiences a family can face. At times, the loss may seem unbearable. Please know that there are family and friends who care and more importantly Psalm 34:18 tells us that “God is near to those that are broken at heart. He is the God of all comfort. God will comfort you during this difficult time of grief. Our prayers are also with you and your family. My Sincere Condolences to Family and Friends. Christine had a great and generous Heart . Christine was Loved by everyone who knew her.